The morning after Michelle Obama's big speech at the Democratic National Convention in 2012, in which she argued passionately for a second term for her husband, designer Tracy Reese's phone was ringing. And ringing. Mrs. Obama's powerfully delivered speech had attracted much attention — but these phone calls were about her dress. A shimmering sleeveless sheath in rose and silvery gray, it was pretty universally considered a fashion slam dunk. And customers wanted it. There was only one problem, Reese recalls: "We didn't have inventory — we had made that dress custom." And so the label went into production. "And people waited," Reese says. "You know, so many people admire Mrs. Obama and they want to dress like her. We sold quite a few of those dresses." She estimates the number at over 2,000. Reese, who hails from Detroit, is one of the first lady's favored designers — Mrs. Obama has been photographed in her clothes some 20 to 30 times. But unlike some past first ladies who favored one or two big-name designers, Mrs. Obama has spread her fashion choices among a huge stable of them — often promoting lesser-known names, and taking care to promote American designers at such high-profile events as inaugurations, conventions and state dinners. Which is why so many designers and fashion watchers will miss her when she steps away from her post after eight fashion-conscious years, and why they consider her one of the most influential first ladies in fashion, perhaps even more so than Jacqueline Kennedy, because of her broad appeal. "Michelle Obama embraced everyone," says Andre Leon Talley, a fashion editor at Vogue magazine. "She embraced black designers, Asian designers, European designers. ... She was very democratic in her choice of clothes." And that includes wearing fashion that ordinary women could potentially afford — like cardigans from the retailer J. Crew. "She's made an effort to wear accessible fashion," Reese says. "I think Jackie (Kennedy) was a great role model but she wore a lot of couture, and things that most Americans could not afford." Mrs. Obama, she says, has worn both high-end and moderately priced fashion. Reese, who is African-American, is particularly proud that one of her designs — a black dress printed with bright red flowers — is on display at the National Museum of African American History and Culture. The first lady wore it to commemorate the 50th anniversary of the March on Washington. Mrs. Obama set the stage for her broad-based fashion choices with her first inauguration. Previous first ladies had often gone with established luxury designers like Oscar de la Renta. Mrs. Obama wore a two-piece lemongrass-hued ensemble by Cuban-American designer Isabel Toledo for day, and a one-shouldered white gown by New York-based, Taiwanese-Canadian designer Jason Wu at night. Michelle Obama, who spoke with Oprah Winfrey in an interview that aired on CBS on Monday night, says the White House needs a "grown-up," and that the nation will come to appreciate President Barack Obama. For her husband's second inauguration, she wore a sleek coat and dress by American designer Thom Browne, known for his eclectic talents, and in the evening Jason Wu again. "It was an honor to have the opportunity to dress Mrs. Obama," Browne said in an email message. "She is such a stylish individual because of her confidence and intelligence." "We would get calls periodically from her team," says Reese. "But we never knew exactly what things were for and when she would be wearing them. And I think that that's just necessary, because you don't know when plans will change." However it unfolded, it certainly could change a designer's career. "We've been brought to the attention of millions more people than we ever would have reached," Reese says. David Yermack, a professor of corporate finance at New York University, studied the financial impact of Mrs. Obama's fashion choices in her first year as first lady. He says he found an immediate spike in stock prices of companies whose apparel she wore (he only examined publicly traded companies). "There was a very strong and immediate reaction in the stock prices of the design firms and also the retailers," Yermack says. For major appearances, this could run into the tens of millions of dollars: "That's happened many times with her." And the public, Yermack says, remembers what Mrs. Obama wears. "Do you remember what Pat Nixon or Laura Bush wore? She has the ability to hold the interest of the consumer in a way that almost no one else does. I've looked far and wide — Kate Middleton, Carla Bruni. Nobody begins to approach Mrs. Obama on this." 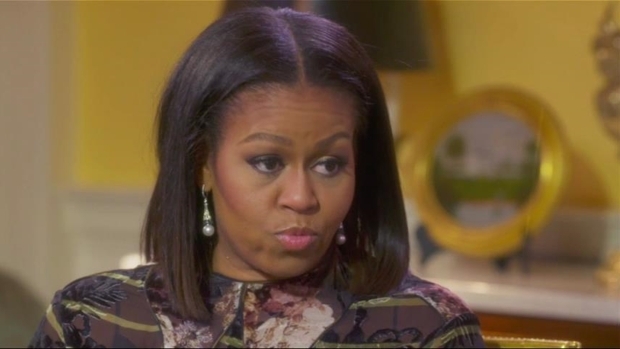 Yermack thinks what's different about Mrs. Obama is that first ladies "have traditionally tried to be nondescript in the way they dressed — they didn't want to overshadow their spouses ... or be seen as spending a lot on clothing. But she had no inhibitions in that sense. "She really had an impact on how professional women dressed, and how you could have fun with fashion, in a way that you couldn't imagine Rosalynn Carter or Barbara Bush ever doing," he says. "It's a very short list of first ladies who are going to leave that kind of legacy."